EMERGE FASTER. GROW STRONGER. YIELD MORE. When seeding alfalfa in late summer or early fall, it’s critical the new growth builds up enough carbohydrates in its crown to safely overwinter. Latham’s AlfaShield Seed Treatment helps set up the fragile alfalfa seed for emergence success. AlfaShield surrounds the alfalfa seed, helping it absorb soil moisture quickly to begin the germination process. 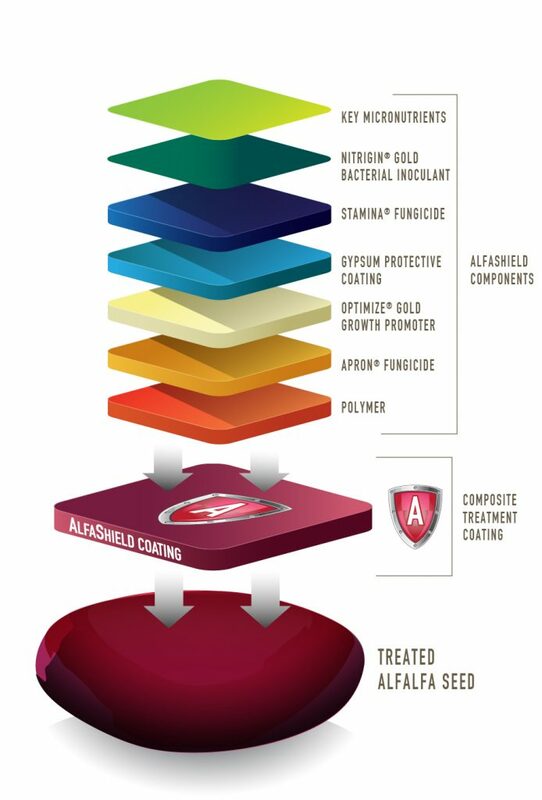 AlfaShield also contains key micronutrients, a growth promoter called Optimize Gold that accelerates emergence and Stamina® for protection against disease.